Handoffs are an unavoidable part of the design process. Here's how to make your first one run seamlessly. What are the key principles to consider when starting your first mobile app design project? Find out in this guide. In this article, we take you through the stages and principles of Lean UX - the newest approach that has taken the design world by storm. What are the best books out there for learning about UX design? Discover your ultimate UX reading list here. Always been baffled by the differences between a UX designer and a product designer? This handy guide will tell you everything you need to know. What Is A Full-Stack Designer? And How Do I Become One? Always been curious about full-stack design? This guide will give you everything you need to know about full-stack designers - including how to become one. What are UI design patterns? How can you use them to create user-friendly interfaces? Discover everything you need to know in this guide. How should you structure your UX designer resume, and what key skills should you highlight? Learn how to create a winning UX resume here. What are UI elements, and how do they help to create user-friendly interfaces? Here's our comprehensive guide to 32 of the most popular UI elements. What does psychology have to do with design? Learn how these key psychology principles can help you to create a better user experience. 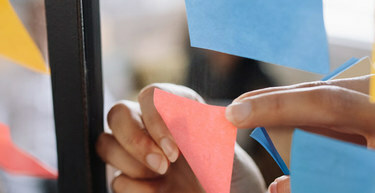 Step four in the Design Thinking process is all about creating prototypes to test your ideas. Learn how and why in this introductory guide. What are the biggest trends in UX design right now? What will shape the UX landscape in 2019 and beyond? Find out here. How do you write and define a meaningful problem statement? Discover everything you need to know about step two of the design thinking process in this guide. If you're just starting out in the UX industry, you'll want to get to grips with the most important terms and buzzwords. Discover the ultimate UX design glossary here. Voice technology is one of the fastest-growing fields, and voice designers are in high demand. How can you forge a career as a VUI designer? Find out here. Microcopy helps you to guide and engage your users, creating a pleasant user experience. Learn how to write compelling microcopy in this guide. The five Gestalt principles can help you to understand how your users perceive and interpret your designs. Find out what they are and how you can use them in your work here. As a budding designer just starting out, how can you ensure you're constantly improving? Discover seven UX design best practices here. If you're an aspiring web developer, getting to grips with GitHub is essential. Learn all about the main functions and features of GitHub in this guide. Empathy is the cornerstone of any successful design project. 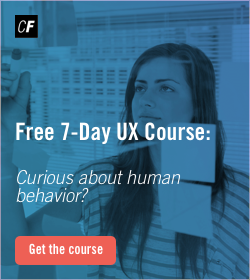 Learn how to become a more empathic designer and discover key methods for building empathy with your users here. Why is usability testing such an important part of the UX design process, and how can you write effective usability testing questions? Discover all in this guide. What is human-centered design, and what does the HCD process entail? Discover why a human-first approach is so crucial in this guide. If you're an aspiring UX designer, you might be wondering if there's a specific career path you need to follow. Find out in this blog post. This Sounds Greek To Me—Or: How Do Different Cultures Approach UX Design? What does culture have to do with UX design? How can you tailor your products to your target audience for optimal user experience? Learn all about how different cultures approach UX here. What is ideation? What are some of the most important ideation techniques, and how can you ensure a successful ideation session? Find out here. Unemployed in Germany? You could be eligible to study for free. Learn all about the Bildungsgutschein and how to apply for one here. The UX design job market can be pretty confusing—not only for aspiring designers, but for HR managers, too. What do UX designer job descriptions really mean? Find out here. What is skeuomorphism? What role does it play in user experience design? Discover all in this introductory guide. How can you make your UI design job search less painful and more productive? Discover our ultimate guide to UI designer job descriptions. What is a typical day in the life of a UX designer? We caught up with recently qualified UX designer Ryan Wu — read his day-in-the-life account here. Learning by Googling isn't always the most efficient way to get the lay of the land in a new field. UX designer Jonny Grass shares his top resources for new UX designers. What Are Some Current Trends In UX Design? The roles under the umbrella of UX – user research, user testing, prototyping etc. – are diversifying and solidifying as professions in their own right. So what are the current trends and where are they headed? Senior UI Designer and Digital Consultant Daryl Campbell discusses how he got into UI design and how you can follow in his footsteps to reach the lofty heights that he has. In this snappy guide to the most awesome UX design tools out there, we take you on a whirlwind tour of 10 of the best tools that UX designers use to work their magic. 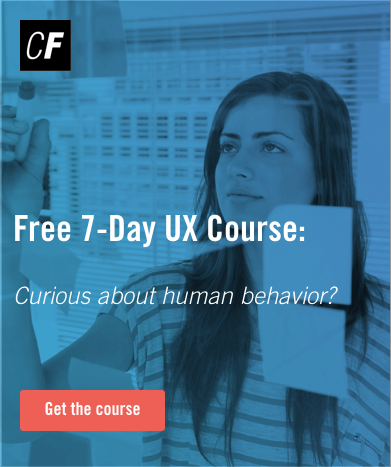 If you're just starting out in UX, this is for you. Landing your first ever web developer job can be tricky. 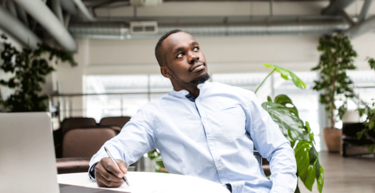 In this guide, we've got all the tips and strategies you need to get hired. 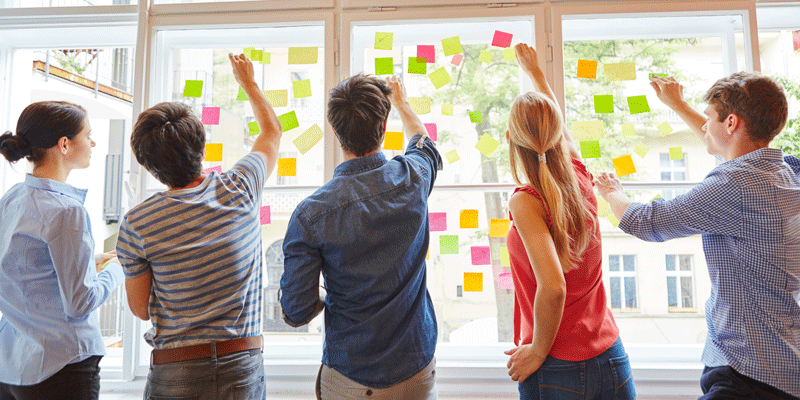 What is Design Thinking and why is it so valuable? What's it got to do with UX design? Learn more in our introductory guide. An easy, intuitive search experience is key to great UX. What are some best practices to follow when it comes to designing a good search experience? Find out here. What are some of the most common UX design interview questions, and how can you answer them for maximum success? Read here. When Fabien's neighbour told him about his work as a UX designer, he knew immediately that it was the right field for him. Why? Because it exists at the confluence of creativity and entrepreneurship. Meet Steffen Prey, an Alexa Skills developer and all-round voice design expert. In this interview, he shares how he got into the field and why voice technology is so crucial. Interviews are a scary but necessary part of changing jobs. In this guide, learn how to prepare for your next UX Design interview. Content is a key component of design, and you can't have a good user experience without good informational UX. Learn more here. 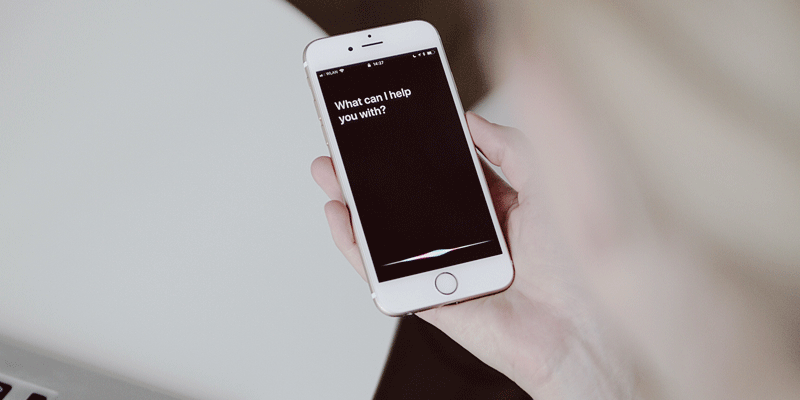 Voice technology is becoming more and more present in our everyday lives. What role do designers and developers have to play? Read more here. What is web development, and what does it take to become a web developer? Discover the ultimate guide to getting started here. 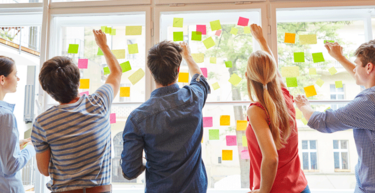 User research is key to understanding your users and how they interact with your products. Follow these 5 guiding principles for your next research project. The tech field is full of buzzwords, acronyms and confusing terms. We've set out to demystify them in this ultimate A-Z guide. Usability testing: one of the most important parts of the UX design process. 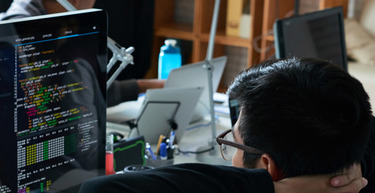 Learn how to conduct usability tests in this step-by-step guide. What is user experience design? Discover everything you need to know about UX in this introductory guide. Maureen went from studying art history at university and working in marketing to landing her dream job in UX design. Here’s how she changed careers in a matter of months. What are some of the most important principles for budding UX designers to follow? Jonny Grass shares his top 5 here. 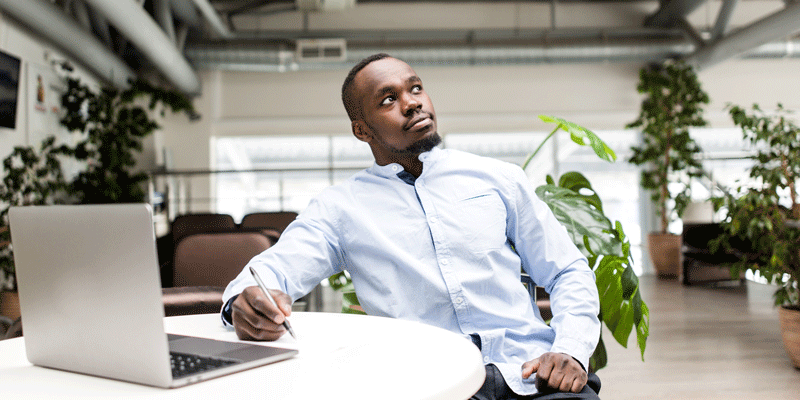 Gearing up for a major career change can be tough: how do you ensure that it's a success? We show you how in this blog post. What better way to hone your budding design skills than with some fun design challenges? Get started here. Working remotely has many perks, but also presents various challenges. Remote designer Lucia presents her 5 biggest obstacles and how she overcomes them. UX designer Alex Humphry-Baker shares her thoughts on what truly makes a great app. Read her article here. 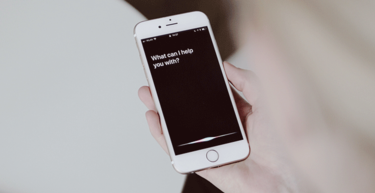 CareerFoundry Presents at UX Alive: What is the Future of Voice UI? CareerFoundry's very own Head of UX Design, Jeff Humble, recently presented at UX Alive. Discover the key takeaways from his talk here. Am I A Good Fit For A Career In UX Design? How do you know if UX design is the right career path for you? Here are some key telltale signs that you and UX are the perfect match.